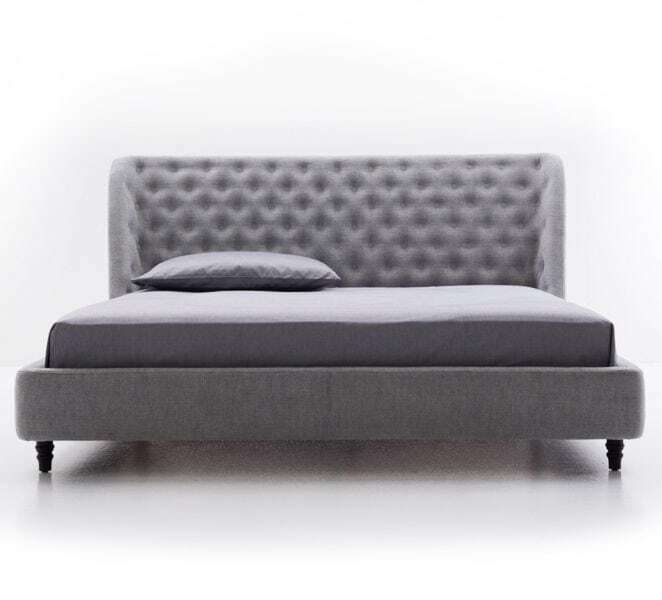 Bed with a solid wood frame, lined with polyurethane foam of different densities and fully upholstered in your choice of fabric with a capitonné finishing, made entirely by hand. With an anti-creak slatted base in curved beech wood, varnished on both sides. Mattress can be purchased separately. 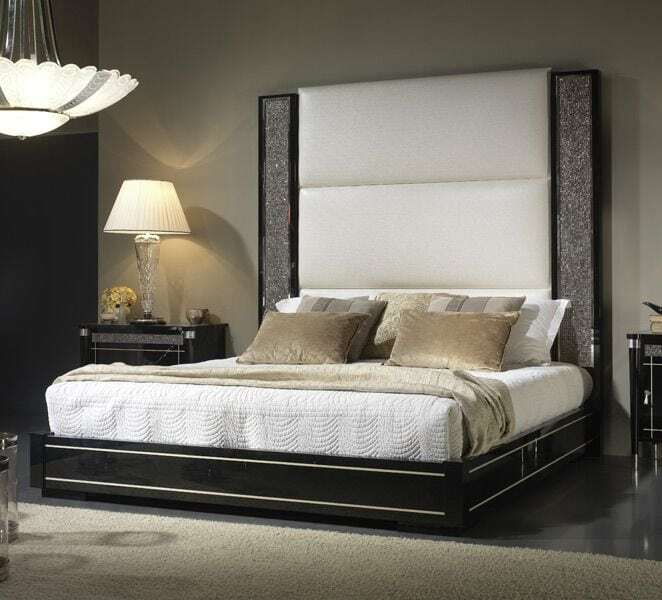 Bed with a solid wood frame, lined with polyurethane foam of different densities and fully upholstered in your choice of fabric with a capitonn? finishing, made entirely by hand. With an anti-creak slatted base in curved beech wood, varnished on both sides. Mattress can be purchased separately. Upholstery: Available in C.O.M. or C.O.L. (customer’s own material or leather). Dimensions (WxDxH) 5BEN101: 2220x1950x1530mm. 5BEN102: 2220x2150x1530mm.